Discussion in 'Cloud Chasers Corner' started by Ruppy_bear, Oct 22, 2018. Feeling stupid, I kinda wanna give cloud chasing a try. I have a invader 3 as well as a aug v200 on a Kennedy tank. 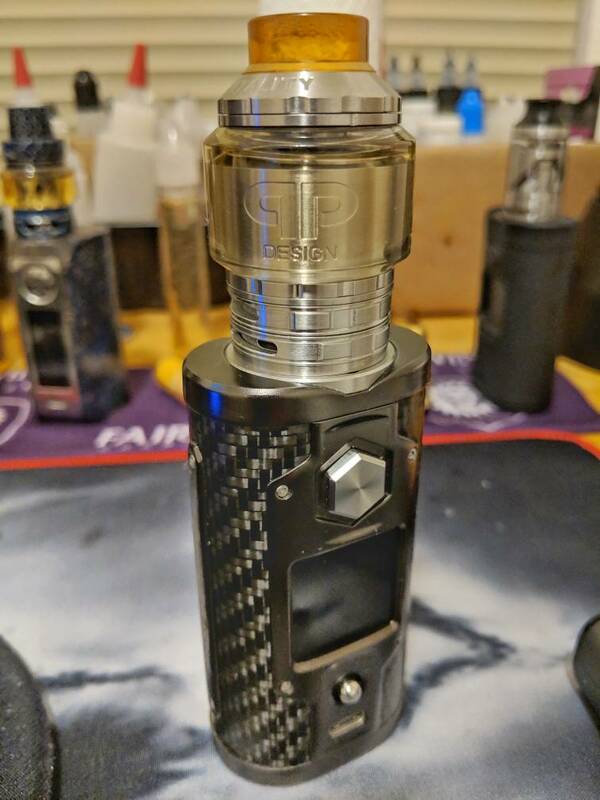 My question is, what is the best coil setup? How many wraps? What about the coil numbers? Are there any other things I should watch out for? How much experience do you have with Ohm's law and building? That's important to know for any recommendations. For starters, I would use your B18C (couldn't resist ) and the Kennedy. Assuming it's the Kennedy 24, I would build a simple Clapton build, 3mm ID and 5-6 wraps, so it's as width as the airflow. That should give some nice clouds. From there you can start to experiment. I've seen Kennedy 24s with some neat quad vertical builds, you might want to check those out if you're experienced enough. Questions: I'm a skinny Asian guy, does size and lung capacity have anything to do with it. I'm not too familiar with ohm laws, normally just have ppl build them for me (sorry but I'm quite lazy and noob). A lot of trick vapers are skinny, too. You should definitely get into ohm laws, even if you're lazy, and start with simple builds on a regulated mod. This is crucial for your safety and health. Especially ohm laws seem confusing at first, but are stupidly simple once you get around it. It's basically just figuring out how low you can go and stay safe and then calculating your build. - Or you want an output of a certain watt, calculate what ohm that would be, check if that resistance would be safe, and then build for that watts. For example let's say I know my Gorge works incredible well at around 60 watts. I want to use it on my single coil mech squonker with a single 18650. For safety measures, calculate power output at 4.2V (fully charged 18650), which is 4.2²/0.23 (P=U²/R) = 76.70 Watts. I know the Gorge can take this, so that is fine. Now I calculate the maximum Amps (I) this build would draw. This is calculated by dividing 4.2V with your resistance (I = U/R) or alternatively by dividing your Watts with 4.2V (I = P/U), both work. That tells me my setup would draw a maximum of 18.26A. Since I know the CDR of the batteries I use is 30A, that tells me I'm good to use that build. JBT81, Huckleberried and EMusic like this. susieqz, Huckleberried, Rooster Cogburn and 1 other person like this. You said Kennedy tank...is it an RDA? What wire do you have? Have you ever built coils before? Your not good at maths & science?!?!?!?!? Next thing your gonna tell us your an awesome driver. just busting your balls. But the size of a man size of the cloud thing, isn’t a thing. Just because someone is small doesn’t mean they have a small lung capacity. There really isn’t any relation. Kinda like that Asian competitive eater that used to win. He was a little guy but could eat with the big boys. It’s about training the organ to increase capacity. I’m sure some breathing exercises would be helpful if you want to blow the biggest cloud. I don’t have any offhand but I’m sure a quick internet search would turn up something. Kinda like the freedivers mentioned above, do what they do to increase their lung capacity. Best of luck and don’t forget us little people when you hit the big time of cloud competitions. Kitsune and zephyr like this. I normally have ppl wick me a standard coil (u know those pre-wicked ones). Will try those lung exercises to see where I'm at. Also can u cloud chase at almost any wattage since its base on the coil that's wicked? Basically yes it would be determined by the coil’s ohms. Your never gonna get massive clouds at really low watts but you don’t necessarily need to be a 150+ watts to get huge clouds. Basically anything over 50 watts with the right coil can give you massive clouds. I’m not a cloud chaser so that’s about all the help I can offer. Just based from my knowledge of vaping, you’d need a dedicated cloud chaser to get in depth knowledge on how cloud competitions work. Because I have no idea but I wish you well. But with the right RDA, you can have some nice clouds at 50 Watts as Rooster stated. The Kennedy RDA should be more than enough for starters. 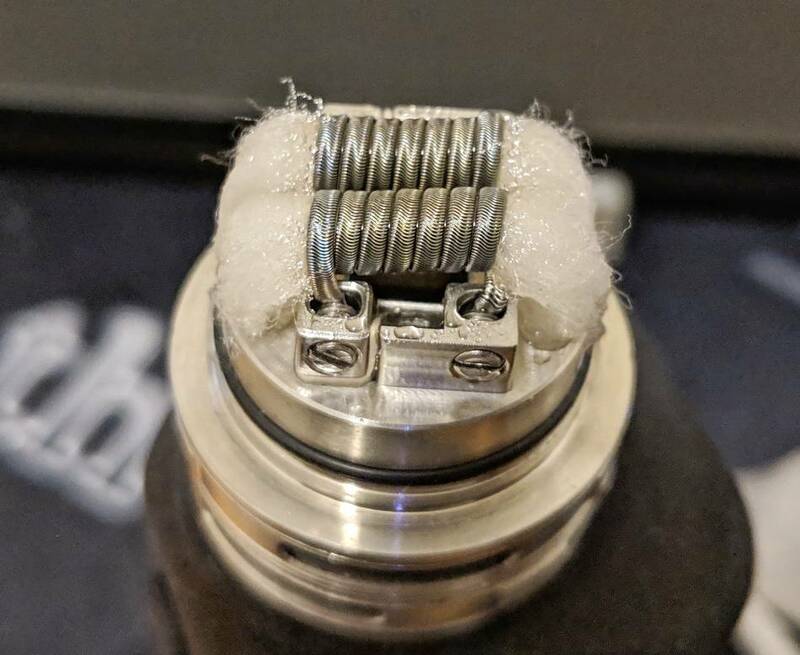 Get a nice dual coil build in there (no need for fancy Staple staggered framed Alien twist stitched, just go with a nice twisted wire or a clapton), put it on your V200, dial in the watts and you're good to go. The rest is experimenting and practice, practice, practice. That is practicing building and practicing your "vape technique". Start slow (with building and your vaping) and work your way up. And remember to always stay safe, you don't need an extremely low resistance for massive clouds. Before I forget, the right juice also helps. That means look for juices with a high amount of VG. My current coil setup that I just got yesterday. Cloud have gone a little bigger and thicker but I sill wish it could be a little bigger.